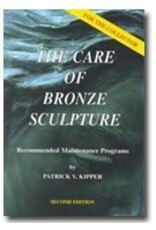 A comprehensive guide to the care and preservation of bronze sculptures. It covers waxes and other surface treatments for indoor and outdoor wear. It even has a section on refinishing. 78 pp.